It was the week before Christmas and I'd done alright to make it to Saint Barthélemy in one piece, at least in my own mind. The tiny island situated in the middle of the Caribbean boasts one of the shortest runways in the world and a landing coyly described as 'special' by our pilot. I'd heard that the landing was considered one of the 8 most difficult in the world. As I sat in the back seat of our little 6 seat puddle jumper on our short flight from Saint Martin I unconsciously contemplated the numbers whilst admiring the sight of turquoise waters and islands strung out like pearls below. Then as we approached the tiny island it's remarkable runway came into view. Yes it was about the length of the main street of my hometown in Ireland or so it seemed, and it ended in the ocean. We skimmed over the top of a hill a few feet above the cars below and I braced myself as our pilot cut the engine coming into land. Incredibly we coasted down like a beautiful bird catching some mid afternoon air currents. No doubt indeed this man at the controls was skilled and I had landed. The island known as Ouanlao by the locals and part of the small group of islands that make up the French West Indies is only 8sq miles with a population of just over 8200 people. Once belonging to Sweden it's now a collectivity of France. With town names like Lorient I could have been back in my college days in Brittany. Now firmly established as a playground for the super rich and famous it struck me as surprisingly relaxed. Later a resident remarked to me that St Barth was "the place where the rich came to pretend they were poor". Whatever that meant. The island is ringed by white sand beaches of the kind only associated with tropical paradises a title which St Barth can rightly claim . It's coves are dotted with yachts that would make Christopher Columbus jealous and even I spied one that reminded me of my resolve to learn how to sail. It's unbelievably clear waters are full of dolphins and whales from December to May. Swimming here is like lying in a warm bath but much better because it's Mother Ocean. 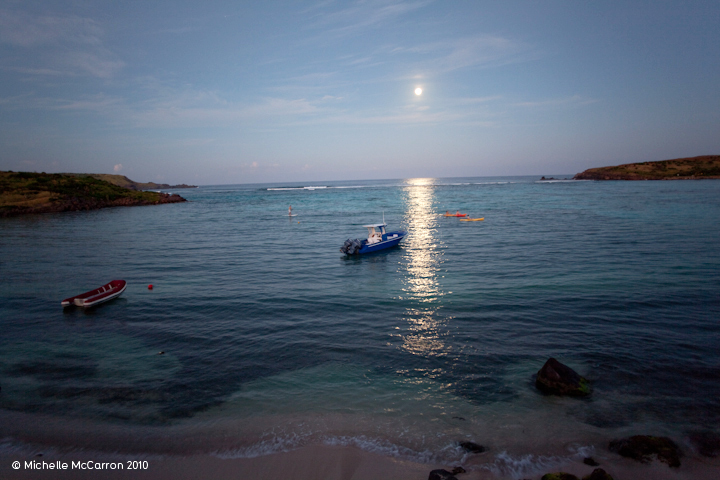 But not all is well in St Barth and like anywhere that people find attractive the threat of development looms. The place most at risk currently is the tiny corner of the island that is called Saline. The beach and the coastline of Saline are truly unspoiled and an incredible sense of wild and delicate beauty pervades. It reminded me of Mawun Beach in Lombok, Indonesia, to this day the most beautiful I have ever set eyes on. The surrounding hills of Saline beach show no signs of development whatsoever to speak of and while exploring the dunes we almost tripped over a few turtles while trespassing on their territory. When you find a spot like this it is all the more remarkable because most places like Saline on an island as attractive to tourists as St Barth, sooner or later suffer at the hands of men who wish to exploit it's natural beauty for commercial gain. Invariably in their greed they destroy the very thing that made it special in the first place. I can never equate in my head how if someone truly loves a place like they say they do they show it by wanting to develop it and ultimately change forever it's natural unspoiled majesty. However this is exactly what American hotelier, André Balazs wants to do. Balazs owner of LA's Chateau Marmont and New York's Standard and Mercer hotels wants to put a 40 cottage 'eco resort' right behind the dunes in an area that is a designated 'Green Zone'. If the zoning laws are upheld like they're supposed to be, a Green Zone here means no building is permitted. I'm pretty sure that the term 'Green Zone' is universal in it's translation and I'm almost positive that someone who has managed to build a business empire is intelligent enough to understand. However it looks like Balazs with his proposal is choosing to ignore the zoning regulations. The problem being he has the mayor and a few other powerful landowners on his side that stand to make a hefty profit out of any development at the undeniable detriment to the environment. Yet not all locals are in favor of Balazs and Magras the mayor's plans. In fact they're facing formidable opposition from a group of environmental advocates led by the intensely passionate and dedicated efforts of Helene Bernier. Helene who runs a small business called 'Easy Time' taking visitors on guided hiking tours of the island, is part of a group of locals who are spearheading a campaign to put a stop to the proposal. It is the first time in Magras 15 years as Mayor that he has faced any sort of concerted opposition to his plans. Saint Barth Environment,Saint Barth Essentiel, and the Association for the Protection of Birds are staging a formidable fight. 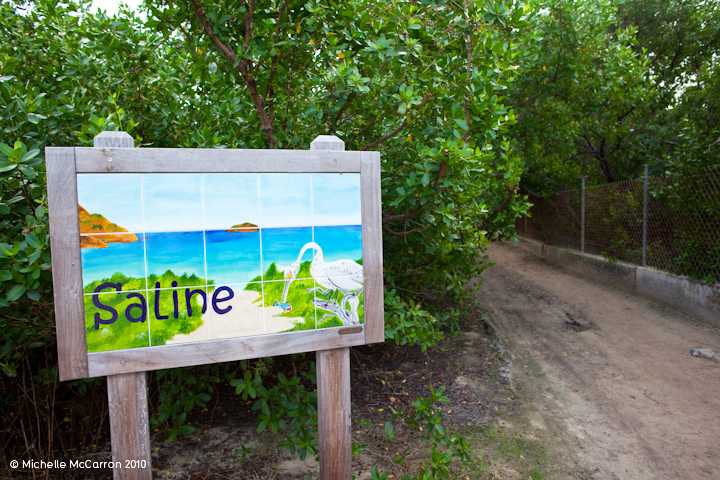 The issue of development at Saline has polarized opposing interests on the island. On the one hand is the generation that believes that development of this kind is the only way forward and a way to make capital that should be exploited , on the other those whose priorities lie in preserving natural beauty in a world overrun with development. In that sense there's nothing unique about it. We could all probably tell a similar story, but this one is Saline's. A week later as I left the island I found myself once again with our highly skilled and charming pilot. As he welcomed me aboard in his musical West Indies accent I took my seat in the cockpit happily. Before I knew it we were once again air bound over the turquoise Caribbean Sea. We were headed back to St Martin to catch a flight home to the US. Flying above St Martin I noticed huge ribbons of road foundations etched into the hillsides in patterns akin to when ones peels an orange in a thin circular fashion. To me they were just big scars in what was once a hillside of trees. Scars, ugly and massive on the landscape. I wish this story was unique but it isn't. This story is everywhere because we have allowed it to be. We've pillaged for centuries, for the most part destroying everything in our path never considering for a second whether we had the right to do so. Who, what, gave us this sense of dominion over the earth, it's life and it's resources that we assume? On who's authority did we decide that we could treat our home with so much incredible disrespect? It wasn't long before that all too familiar feeling of sadness of leaving a place that some little part of you has come to love, swept over me. The story of St Barth may not be unique but it's environment is. I'm not very good with departures and goodbyes and as the plane began it's descent in the early morning light, I hoped that when I got to see St Barth again that it would be just like I had left it. For once let it be just how I left it. -For my friend Helene and all my friends on St Barth.